Runnymede is lucky to have one of the greenest school yards in the TDSB! The Yard Committee maintains and enhances this amazing school yard – everything from the basketball hoops and play structures to the Hillside Garden, stone amphitheater, peace circle and outdoor art projects. We built and continue to enhance the Kinder-Garden sensory garden, and do important maintenance such as planting, weeding, watering and painting. We also work closely with teachers to share curriculum-based lesson plans that can be implemented in Runnymede’s amazing outdoor classroom. The Fall Green Teacher Program will begin the week of September 17, 2018. Each year Parent Council allocates funds to sponsor a visiting “Green Teacher” who provides curriculum-based environmental learning in the Hillside Garden behind our school. Students and teachers will enjoy outdoor education about habitats, biodiversity and more. All JK/SK, Grade 2, 4 & 6 classes will be outside exploring and learning in the Nature Garden with our Green Teacher! These photos are of Ms. Bazos’ Grade 2 class with the Green Teacher. Celebrate Fall and Back-to-School and bring the whole family to Fall Yard Day! Yard Day happens twice a year at Runnymede P.S. (Spring/Fall). It is a family-friendly, community clean-up event where we maintain and tidy the Hillside Nature Garden at the school to get it ready for lots of wonderful outdoor learning. At Fall Yard Day our primary tasks are litter patrol, weeding and removal of invasive species. The event runs from 9:00 a.m. – 12:00 p.m. on Saturday, September 22nd. You can stop by for an hour to help out, or stay for the whole morning if you like! What can kids do at Yard Day? There are lots of fun activities for kids. At Fall Yard Day, kids enjoy helping out with litter patrol, and trimming plants. There will also be a Fall nature craft, apple peeling, and a nature scavenger hunt. What can I bring to Yard Day? How can I help with Yard Day? The Yard Committee, is interested in students and staff getting the most out of the outdoor spaces that are part of our schoolyard. In particular, we rely on fellow parent volunteers to help maintain the Hillside Garden area of the yard. 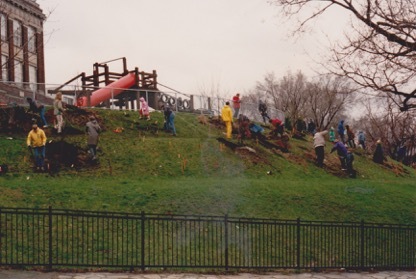 The Yard Committee was actually first established in 1990 when staff and parent volunteers came together to plant and create the forest that is now Runnymede’s Hillside Garden. The entire forest area used to be a steep, grassy slope that was closed-off to the schoolyard because it was too steep and difficult to maintain. 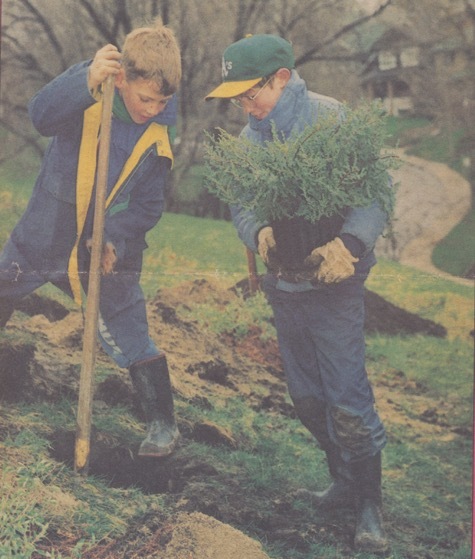 Over the next decade, native plants, shrubs and trees were planted in the Hillside Garden and it developed into the amazing outdoor learning space that is used and enjoyed today. The main purpose of our Yard Day events is for the school community (students, parents and staff) to come together to maintain the Hillside Garden so that it remains a healthy and vibrant outdoor learning space for many years to come. 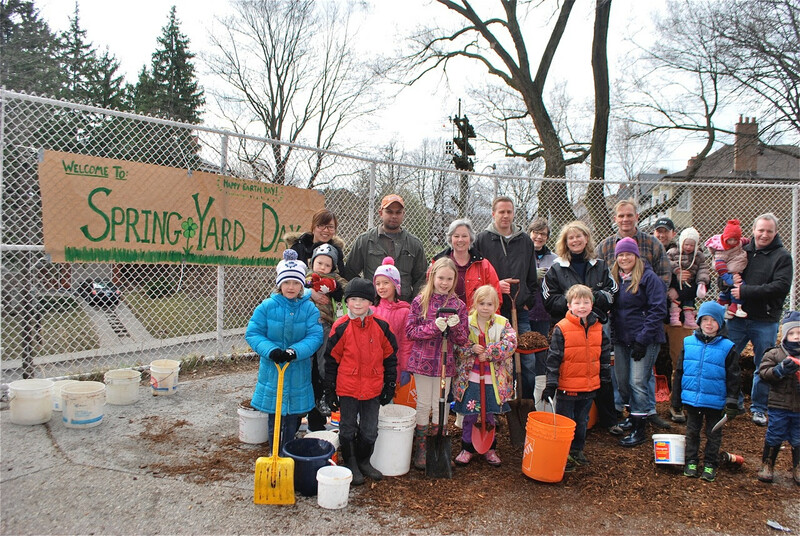 Our Spring & Fall Yard Days are one of the very best community events at Runnymede PS! You don’t have to have a “green thumb” to be a part of the Yard committee – just a willingness to help out around the school yard. You can also support this committee by donating old garden tools or Canadian Tire money at the school office or by attending the Fall and Spring Yard Days – fabulous family-friendly events that combine work and fun.